The website is designed for use by students ages nine to twelve years old and invites students to learn about exploration as they navigate the website. Passageways: True Tales of Adventure for Young Explorers is an archived site from Library and Archives Canada. Although the interface may feel outdated, the content withstands the test of time. The website is designed for use by students ages nine to twelve years old and invites students to learn about exploration as they navigate the website. The content is organized chronologically, and ranges from pre-European settlements to Roald Amundsen's voyages to the south and north poles in the early twentieth century. As students make their way through the different sections, they can easily pause to examine primary sources, route maps, or look up unfamiliar people, events, and concepts through the hyperlinked glossary. The introduction provides students with a sophisticated approach to the notion of exploration, and reminds them that discovery means different things for different people. 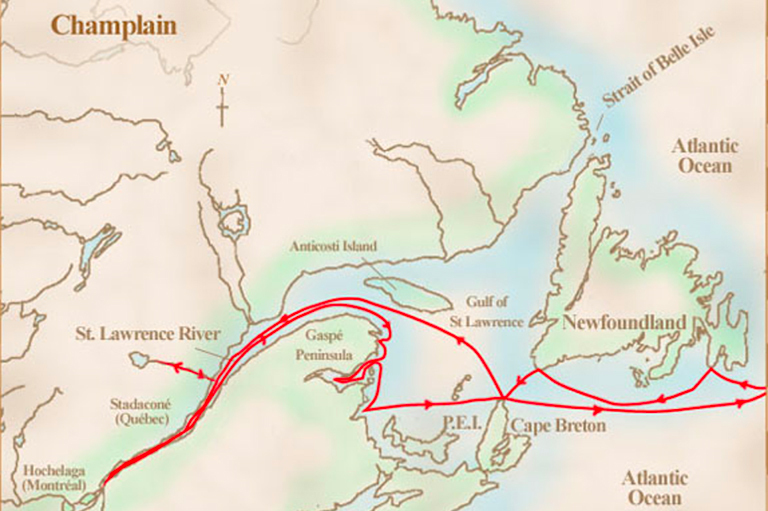 While we frequently talk about European exploration, it's important to emphasize to our students that Aboriginal people had been living in North America for thousands of years. The website also talks about the under-representation of women in the written historical record, but recognizes that women played an important role in many of these expeditions. Teachers will also find a three-part unit plan, as well as an extensive age-appropriate bibliography for their students. Older students and general readers can also visit the companion website Pathfinders & Passageways. Send your students on their own exploration through history. Visit Passageways: True Tales of Adventure for Young Explorers to get started.